You will be asked to Enter your Display name in order to join. Enter your details and you are ready to join the conference. -During the Conference, the moderators will select a PRESENTER. -If you wish to ask a question, you can type in the CHAT window. 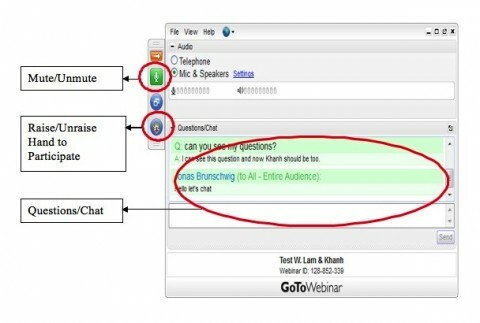 -A presenter will have the option to SHARE his screen with the rest of the confence as – well as his Webcam. -All attendants will be muted by default when the session starts. 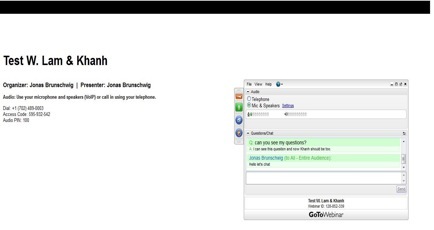 This is how the GoToWebinar platform would look like.